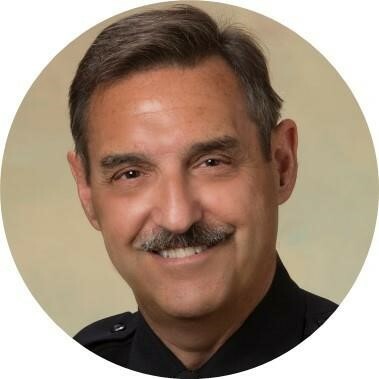 About the Speaker: Retired Chief of Police Rick Myers Rick recently retired after a 40 year career in policing, 33 of which he served as police chief in agencies as small as 5 employees to as large as 1000 total employees. Chief Myers studied under the pioneering professors of the now established philosophy of Community Oriented Policing at Michigan state University, and counts the father of Problem Solving Policing, Dr. Herman Goldstein, as his mentor. Chief Myers’ history of leading agencies with this combined blend that he calls COP/POP, ensured that everyone in the agency understood their ownership of this philosophy. Further, he has a history of supporting strong inter-agency collaboration, a very good quality for tribal policing to pursue. Rick recently retired after a 40-year career in policing, 33 of which he served as police chief in agencies as small as 5 employees to as large as 1000 total employees. Chief Myers studied under the pioneering professors of the now established philosophy of Community Oriented Policing at Michigan State University, and counts the father of Problem Solving Policing, Dr. Herman Goldstein, as his mentor. Chief Myers’ history of leading agencies with this combined blend that he calls COP/POP, ensured that everyone in the agency understood their ownership of this philosophy. Further, he has a history of supporting strong inter-agency collaboration, a very good quality for tribal policing to pursue.